Choke tubes - Short, interchangeable cylinders, of subtly different internal tapers, that screw into a threaded recess at the muzzle of a shotgun. 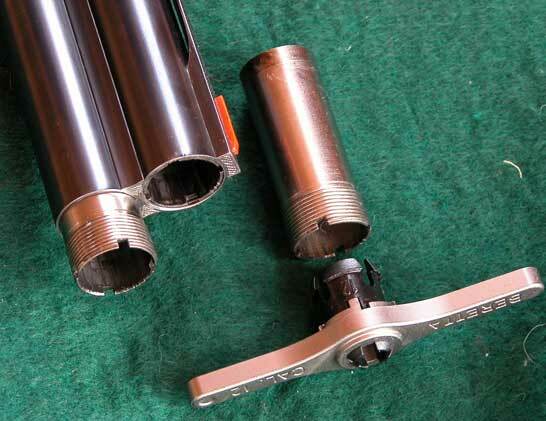 By inserting different choke tubes, one can alter the shot pattern thrown by the gun. Choke tubes should be tightened until snug. Guns fitted for choke tubes should never be fired without tubes inserted.